By committing all the frontline sales reps and sales managers to this sales process, we have reached an entirely new level of sales discipline. CustomerCentric Selling® (CCS™), a proven methodology for predictably improving revenue growth and sales performance, today announced that Metso, a Finnish engineering company, has achieved significant sales efficiency since implementing the CustomerCentric Selling® sales methodology into their paper line business. CustomerCentric Selling® (CCS™) is a proven methodology for predictably improving revenue growth and sales performance. Founded in 2002, CCS™ helps clients worldwide to implement repeatable, auditable and scalable sales processes that, when combined with Sales Ready Messaging®, guides marketing and sales to have meaningful conversations with customers and prospects. This results in winning high-value deals, retaining and growing client relationships and improving the predictability and accuracy of sales forecasts. 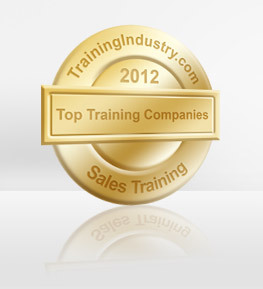 CustomerCentric Selling® has been named to Training Industry’s list of Top Sales Methodology Training Companies for 2009, 2010, 2011, 2012 and also made Selling Power’s Top 10 Sales Process Companies list. Clients such as Microsoft, Hewlett Packard, Business Objects, Rockwell Automation, EMC and Raytheon have deployed CCS™ worldwide. For more information, visit http://www.customercentric.com or email Jill Perez: jperez(at)customercentric(dot)com or call +1.800.993.1228, ext 706.